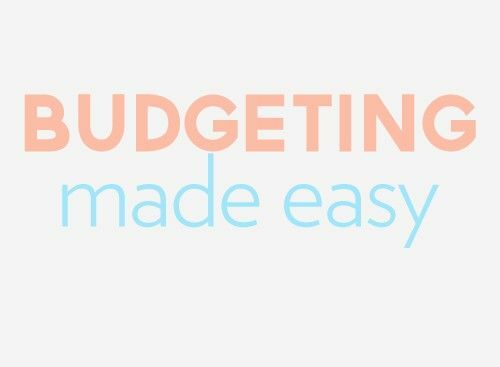 Rather than budget every single item out, we have an “Everything Else” category for all the expenses that can vary from month to month. As long as we stay below the total amount budgeted for that category, the money can be spent where needed each month. The flexibility that comes with doing our budget this way has made it much easier to stay within our spending limits, and it has drastically cut down on disagreements. Some months it might go to an unexpected medical expense; another month a big chunk will go to baby supplies or entertainment. But we make sure the total money allotted to that category is never exceeded. 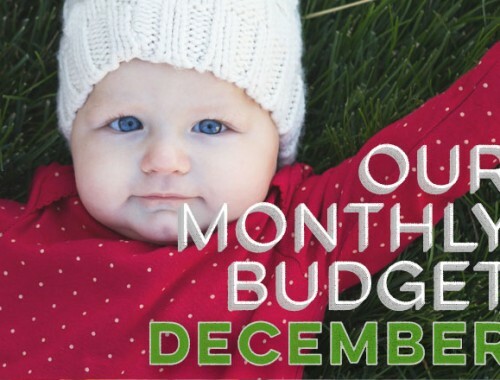 For expenses that change unpredictably, such as utilities, we budget a little more than we usually need so that it never hurts us if a bill is unexpectedly high one month. To keep track of our budget, we use HomeBudget for iPhone. The app syncs with both of our phones so it’s always up-to-date and ready for budgeting madness on-the-go. It costs $5 (which is the first app we’ve actually ever purchased), but it’s been worth every penny. This year we’ve decided to calculate the grand total for a few of our budgeting categories for the entire year, rather than as a monthly expense. We did this so we could better guesstimate our expenses and savings for 2014. Those categories? I must say, we’ve already used up a big chunk of our eating out budget this month, which actually isn’t a bad thing. It means we’ve actually gotten out and about a few times, which is so very nice and way overdue. So we’ll be fixing lots of homemade meals for the rest of February (including our Valentine’s night dinner). How’s your monthly budgeting going? 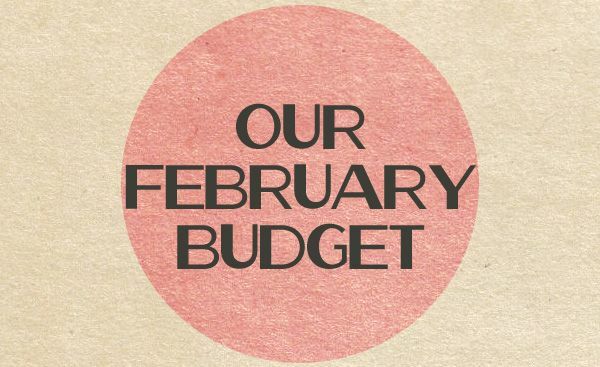 How does our February budget line up with yours? In which categories do you spend more or less? 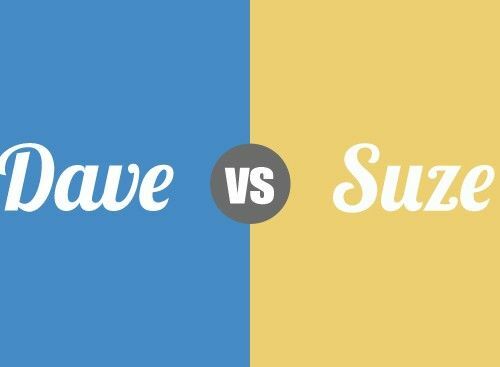 Are You a Dave or a Suze? I appreciate that you’ve got your 10% charitable donations there! One thing that drives me crazy about most personal finance bloggers is that I see very minimal charitable donations from them. (For those who lay out their budgets on their blogs at least). I feel like it’s great to share with people about the importance of living below your means, etc, etc, etc, but I want them to also be a good example when it comes to generosity! It seems like these 10%- donations (tithings) don’t go to a charitable organization but to the blog poster’s church. Everybody needs to decide on their own if and to whom they donate money to. Rather than just having to give it to a certain church I appreciate people much more that actually donate to an important cause- just ,my two cents. All two cents are appreciated here. To be clear, our 10% does go to our church, but much of that money goes to those in need and humanitarian efforts throughout the world. Regardless, for us our church is an important cause. I think the spirit of giving is lost when we begin judging how others donate their money. We consider tithing to be different from charitable giving (which is for specific needs above our 10% tithe.) But the reason that we are so comfortable giving through our church is because as members, we have complete access to the church budget at any time. I am sure that it works differently in different churches, but at least in ours, the congregation has to approve the annual budget. We have a lot more control in how our church spends money than we do in how any nonprofit organization might choose to spend our contributions. Thanks for responding, Jasmin! We understand that giving is a very sensitive topic, and everyone has their own causes that they support. It’s a good thing to be passionate about, and we’re glad that for the most part that passion is directed at helping very worthy causes. So far, we’re doing a great job sticking close to our budget this year. We’ve been able to cut back on some of our basic expenses, like cell phones, and save a little more. I’d like to get to where we’re saving close to 30% of our income, but that won’t happen until the last quarter of the year. I’m looking at everything in quarters which is very helpful. That’s great! And I think it’s smart to look at things in quarters… sometimes it’s hard to keep a long-term perspective when things get too granular. I am sure that you have said it somewhere, but what do you do with Sally for daycare/etc? We currently save about 15% of our income, but about 25% of our income goes to daycare for our twins. It just makes it so hard to save! Good question! Before Sally was born, I asked my company about starting to work from home, and fortunately that became something where I was able to work remotely 100% of the time. Of course, I still get help with Sally from nearby family, but it’s cut out the daycare expenses in our budget. How did you guys come up with the total for “everything else”? Is it based on items you spent last year? I wonder because it seems to be the most difficult item for me to tackle on our budget. For instance, some months we use more gas than others for weekend road trips- will that be in the same category or the separate vacation one? Our “Everything Else” amount is based on the average amount we spend on those items. If you don’t know what your average is, just guesstimate an amount for your “Everything Else” category, and then adjust it next month if you need to. And, yes, we put all of our expenses for trips in the “Vacations” category, including the gas for a weekend road trip. We could really use one of those right about now :)! It’s really nice having separate budget lines for things like clothes and vacations! It’s something I’ll be trying out this year too! Awesome, Amanda! I hope it goes well!